Arsenal returned to the top of the English Premiership with goalless against Stoke City at the Britannia Stadium. 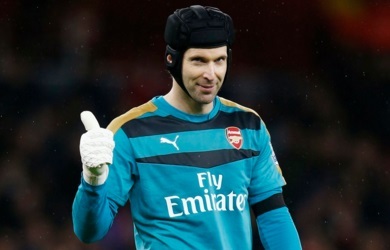 The Gunners had Petr Cech to thank for the point as he made some brilliant saves to keep out Stoke City. At the other end Jack Butland was kept busy as well. The result see Arsenal level with Leicester on 44 points but with a superior goal difference. Manchester City who beat Crystal Palace on Saturday are a point away on 3rd place.